The end of March is upon us and playoff scenarios are starting to become more and more clear. Teams like the Boston Bruins and Toronto Maple Leafs have a good idea what is coming in the postseason, and are trying to peak at the right moment. Meanwhile, the draft lottery is just around the corner and the Colorado Avalanche look like they’ll have the best odds despite currently sitting in a playoff spot in the Western Conference. The Los Angeles Kings and Detroit Red Wings meanwhile hope they can jump up a few spots and land their choice of Jack Hughes or Kaapo Kakko. With the regular season coming to an end, it’s time to run another mailbag. We’ll be answering as many questions as we can this weekend. You can submit your query by using #PHRMailbag on Twitter or by leaving a comment down below. If you missed our last mailbag, it came out in two parts given all the questions. First Brian tackled the Columbus Blue Jackets aggressive trade deadline and gave his thoughts on the playoff format, before digging into the upcoming negotiations with Erik Karlsson, Alex Pietrangelo and Brayden Schenn while taking a shot at the next Edmonton Oilers GM hire. In this edition of the mailbag, the discussion focuses on the Rangers, Erik Karlsson’s future, the Blues, candidates for the GM role in Edmonton, value contracts, and who could be on the move from Chicago this summer. acarneglia: Are the Rangers a lot closer than people think in regards to returning to relevancy? Take a look at the number of one-goal games they’ve played in. CHRISJENJ: What are the Rangers offseason plans? Do you see them either signing or trading for a big-time player like Artemi Panarin? The pain may be coming to an end sooner than later in New York if things go right. They have a quality stable of prospects up front and between the pipes (the back end is coming along but still needs some work) and they’re going to have plenty of cap space. I expect them to try to use it on the open market and go after some top talent. If they succeed in doing so, they’ll be right back in the mix in the Metropolitan – not a contender right away but they’ll be in solid shape. If they can’t land that big fish, I don’t expect them to turn around and try to trade for a big-ticket player instead. One more year on this particular track wouldn’t be a terrible idea as their young forwards aren’t ready for major roles just yet. Accordingly, why spend some of their extra young assets at that time? If you can get the player for free, great. If not, stick to the plan and continue to develop the youngsters. That might not necessarily have them on the playoff path for 2019-20 but they are very much back on the path to relevancy. One way or the other, they shouldn’t be near the basement next season. 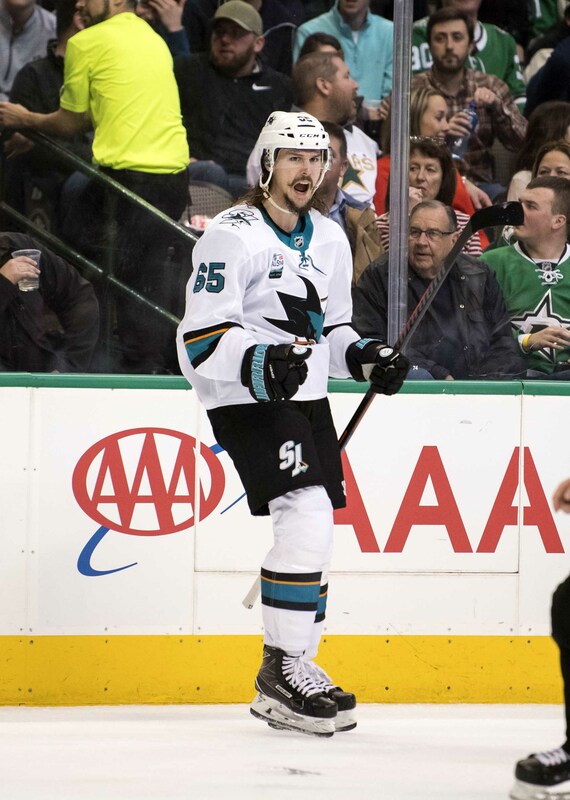 kenleyfornia2: Will Erik Karlsson be one and done in San Jose? Unless they really have concerns about his ability to stay healthy, I don’t think so. With what they gave up in quantity, it’s hard to think that they were looking at him as a straight rental player. I figured there was a good chance that they had the framework of a deal in place already and that something could have been coming once the trade deadline passed but clearly, that wasn’t the case. San Jose has shown that they can win without Karlsson if they choose to allocate more of their money up front this summer; a long-term deal for him could push their back end spending towards the $35MM mark by the time they fill out the rest of their group. That’s probably a bit too much but I still think he’ll be kept and veterans like Justin Braun and Brendan Dillon will be moved over the summer to lower their spending on defense for next season. Paul Heyman: Do the Blues try and extend Alex Pietrangelo and Brayden Schenn this offseason seeing as they are eligible for free agency next year? They’ll certainly try. Most teams will look to lock up their core pending unrestricted free agents as soon as they’re eligible to in July. Regardless of the situation a team is in, a top player locked up should be worth a lot more than he would be as a rental. I expect GM Doug Armstrong will have cursory discussions with their agents leading up to the draft; even though new deals couldn’t be signed until July, they can talk beforehand. The really interesting question will be what happens if they don’t sign right away? 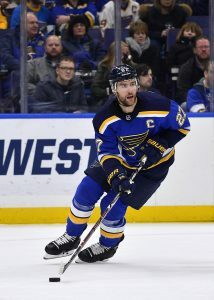 St. Louis hasn’t shied away from shaking up their core and there were trade discussions involving both players earlier this season when things weren’t going well. If Pietrangelo or Schenn (or both) show some hesitance in extending, I believe those trade discussions will resume. We know Armstrong is comfortable taking a top player into his walk year without a new deal (such as Paul Stastny last season) but given that June is becoming the time to make bigger trades, it’s not crazy to think that one of those two could be moved if an early extension isn’t in the cards. Zack35: Pretend you’re Oilers CEO Bob Nicholson. Who would you hire to be GM? If one of the candidates is capable of building a time machine that can undo some of Peter Chiarelli’s deals that haven’t worked out, I’d go with that one. In all seriousness, I think this would be a good fit for Mark Hunter. While he hasn’t been a GM in the NHL before, he has four years of experience with Toronto and rose up the ranks there where he was the runner up to replace Lou Lamoriello. However, that’s not the main reason I’d give him the nod. I like his scouting and junior backgrounds and I’m Nicholson, those areas are a priority. Edmonton is going to be cap-strapped for a long time so the ability to identify and bring in capable, cost-controlled youngsters will be paramount to their future success (or lack thereof). 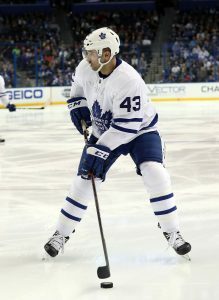 Hunter’s track record of frequently finding quality young talent for OHL London helps him stand out amongst the crowd. If Hunter isn’t interested, I’d likely turn my focus to Ron Hextall. I liked what he did in Philadelphia in terms of slowly building up a base of young talent and let’s face it, that’s what the Oilers need to do. If he wasn’t interested, I’d then look at Mike Futa in Los Angeles – he has a similar background in development and scouting to Hunter with more experience at the NHL level. ThePriceWasRight: Who are your top three underpaid players (not counting rookie contracts)? There are plenty of players in the $1MM – $4MM range that could easily qualify for this list as their level of play considerably outperforms their AAV. Players like Andrei Vasilevskiy, Brendan Gallagher, Roman Josi, and Erik Gustafsson (who quietly is up to 50 points already) come to mind just to name a few. Nikita Kucherov makes more than that but is vastly underpaid with his new deal only kicking in next season. However, those other players will be in line for much richer deals in the next year or two so instead of looking at them, I’m going to focus instead on some top-end guys making mid-tier money that will be significantly underpaid for at least years to come. To me, deals like these are the top value contracts in the league. Dallas defenseman John Klingberg has emerged as a legitimate number one defenseman in the NHL. He’s in the top-15 in the league in ice time per game and points per game by a blueliner (among qualifying players). Players like this are getting over $8MM per year minimum on recently-signed contracts but Klingberg will only cost the Stars $4.25MM for three more years after this one. A number one blueliner making number four money is a huge bargain for them. Toronto’s Morgan Rielly is also in a similar situation. He’s their undisputed top defender and is among the top point producers among NHL blueliners. Brent Burns, the lone player ahead of him is at $8MM per year. Erik Karlsson is close to him in terms of points per game and he’s widely expected to surpass the $10MM per year mark this summer. John Carlson is also narrowly behind Rielly and also carries an $8MM cap hit. Meanwhile, Rielly sits at $5MM for three more years after this one. He’d be making a whole lot more if he was hitting free agency anytime soon. Flyers center Sean Couturier looked like he’d be their second center of the future and signed a contract that was commensurate with that type of role. Since then, he has emerged as a legitimate top liner and is on pace for his second straight season with at least 30 goals and 70 points while logging a little over 22 minutes a night. There was talk earlier this season that discussions for an extension for Matt Duchene – likely the top UFA center available – was in the $8.5MM-plus range. Couturier checks in at basically half of that ($4.333MM) for three years left after that one. In terms of cost per point, these three aren’t among the leaders in that regard. However, they’re all players that are significantly underpaid relative to their peers around the league and will be in that situation for quite a while yet. @Jents71: What major Blackhawks piece is going to be traded away in the summer? I don’t see GM Stan Bowman making any major subtractions to his roster this offseason. In fact, I think they’ll be looking to add a big piece in free agency. Panarin has been the speculative link given his previous time with Chicago but if they don’t add him, they’ll likely go after another big piece. Their late-season run will likely make Bowman think that this core has one more season where they can make some noise so the goal will be adding instead of subtracting. That said, one player I could see them looking to move is center Artem Anisimov. He has been part of trade speculation for a while now but the emergence of Dylan Strome gives them someone that can legitimately step in and play behind Jonathan Toews down the middle. With Alex DeBrincat and Strome in need of new contracts after next season, Chicago will want to free up a bit of money for those deals. With a cap hit of $4.55MM through 2020-21, moving Anisimov would give them some funds to play with to lock up those youngsters and that type of money for a third line pivot is something the Blackhawks can’t really afford. He has a full no-move clause but it wouldn’t be surprising to see Chicago ask him to waive it this offseason. The moves the Blue Jackets made at the trade deadline were the talk around the NHL and are discussed in this edition of the PHR Mailbag as well as Arizona’s recent run, the Seattle expansion draft, Boston’s lineup, Alexander Radulov’s benching, and the current postseason format. As we’ve done with recent mailbags, questions not answered here will appear in our next mailbag next weekend. sixfootnineballerina: What do you think the fallout would be like if the Blue Jackets suffer an early exit or miss the postseason entirely after giving up so many future assets and holding onto their pending UFAs? First things first, I want to comment on GM Jarmo Kekalainen’s strategy in general. I get the desire to go for it and really respect it, as bad of an idea as I think it was. As a whole, what they gave up for Matt Duchene and Ryan Dzingel wasn’t over the top by any stretch. But these moves aren’t going to vault them into Stanley Cup contention so at best, we’re talking about winning a couple of rounds. I know they haven’t won a playoff series before so that’s worth more to them than most but at the same time, is making it through a couple of rounds going to magically entice Artemi Panarin to re-sign? Probably not. 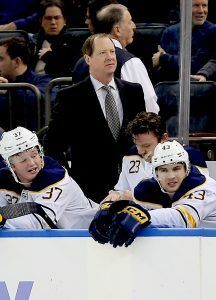 As for the fallout from an early exit or missing altogether, Kekalainen likely would be shown the door as would head coach John Tortorella if he isn’t gone already by the end of the year. If they fall any further in the race, I have to think a late-season coaching change could be in the cards. They’re all in so why take the cautious route now? From a long-term perspective, I don’t think it changes their fortunes too drastically though. Win or lose, they’re probably heading for a soft rebuild unless they wind up being big players in free agency which is something that simply hasn’t happened often in their history. A good or bad showing probably isn’t changing the view of that team in the eyes of players around the league. They’ve moved some of their top assets for this run so big offseason moves to replenish their NHL talents aren’t likely in the cards. Either way, some tough times are probably ahead. therealscyie: Despite being three points out of a playoff spot right now, do you think if the Coyotes make the playoffs, is it a possibility that Rick Tocchet could be considered for the Jack Adams award? Or is John Cooper and Barry Trotz so far ahead that the third nominee is gonna be Bill Peters? Considering the injuries they’ve had (both in terms of quantity and the quality of players they’ve missed), he should be considered at the very least if they can get there. Oddly enough, they’ve been better than they were when some of their players were healthy which is a testament to what Tocchet and his staff have done thus far. That said, I think this is Trotz’s award to lose. The Islanders were a popular pick to be in the basement in the Metropolitan Division after their offseason and instead, they find themselves battling for the top spot. That has to make him the contender even though Cooper’s Lightning have been the class of the league all season long. Peters will pick up a few votes so as well as Tocchet has done (and he deserves a lot of credit for their recent play), he’s probably not going to be in contention for the award. We’re in uncharted waters here with this situation as the Vegas expansion situation didn’t have this long of a timeline to work with. As a result, there seem to be more questions than answers at this point with some contradictory information out there and not many NHL staffers have spoken on the record so far. However, earlier this year, Mathias Brunet of La Presse was able to shed some light on the situation after speaking with someone with Montreal’s front office. While they were discussing Ryan Poehling’s situation in particular (Cale Makar is also in the same boat with regards to timing for signing age for waivers versus actual contract timing – 19 vs 20), it was noted that a player signing an ELC late this season could play ten games without being expansion-eligible. It was also reported that there was an adjustment to the CBA in anticipation of the Seattle draft and while the specific change isn’t specified in that article, my inclination is that it is a proration of the 40-game rule that is used for the purposes of reaching an accrued season. They did that back in 2012-13 (Exhibit 16, heading nine of the current CBA) so it’s not unprecedented. For me, the concern is more with the younger college players than the upcoming college free agent market as even if those players were to become expansion-eligible, if a team wound up losing whoever they signed to Seattle, they’d probably call that a win at this point as it would mean the rest of their team is intact. As for the European market, unaffiliated players signing to play now would need entry waivers so there shouldn’t be any activity on that front in the weeks to come and anyone that signs after the season would be exempt. sovietcanuckistanian: Bruins fan here – when David Pastrnak comes back and assuming the Bruins are playing the kind of hockey they have been since he’s been out – do they reunite the ‘Perfection’ Line (to give teams more to plan for in playoffs) or do they try and spread the wealth a little better/more since they are doing well despite his not being around? Thanks in advance. Boston finds themselves in a pretty good spot right now. It’s pretty much certain that they know they’re facing Toronto in the first round barring one of those teams going into a very long losing streak (and even then they’d still probably be the two/three seeds). That makes it the perfect time for trying things. Everyone knows that when Boston’s top line is together, they’re really good. Even if they’re apart for a few weeks upon Pastrnak’s return, the chemistry they’ve shown over the last few years is still going to be there if they need to reunite the trio for the postseason. So what really is there to lose to put him on a different line? The remaining games for the Bruins over the next month are basically glorified practices with so little at stake. (Yes, there’s home ice advantage at play but Boston has some wiggle room at the moment.) It’s the perfect time to see how Pastrnak fares away from his usual linemates in case they need to split the big line up during the playoffs to spread out the scoring. @Habsfanaticfla: if a player like Radulov misses a team meeting and then sits out a game is he still paid for the game? Teams can choose to suspend a player without pay for violation of team rules, conduct detrimental to the team, etc so that option is there although the player or the NHLPA could elect to grieve it if they wanted. That’s not what happened earlier this week in the case of Radulov though. The Dallas winger was simply made a healthy scratch which is the disciplinary method of choice for teams when it comes to missing or being late for a team meeting for a single instance. Healthy scratches are still paid their full daily salary. If it happens more frequently, that’s when a team may elect to do the suspension without pay or fine as that’s a higher step on the disciplinary ladder. However, most of the time, the public embarrassment of being a healthy scratch for missing a meeting (or being late) is usually enough to curb the issue right then and there. Mr. Mark: When is the league going to get rid of this ridiculous playoff format? Last year the top two teams in the league, Winnipeg and Nashville had to play in the second round and could happen again this year with Tampa and Boston or Toronto. I don’t think there’s much appetite from the Board of Governors to make the change. They discussed plenty at their recent meetings and the playoff format wasn’t among the big topics discussed. This was largely put in place to reinstate some divisional rivalries and for all of the flaws this current system has (and pitting the top teams against each other early is right up there), it appears to be well on its way to doing just that. The regular season can sometimes be a drag and under the old system, the divisions didn’t mean a whole lot. Their hope is that with this system, the rivalries that will develop from frequent postseason matchups will create some better drama during those dog days. Personally, I’d be pleased with bringing back the old system. With only two divisions instead of three, there won’t be any instances anymore where a division winner from the weak division gets a higher seed like there was in the past. Divisional success means something but so should finishing first. The current system isn’t really rewarding that. The trade deadline is over and teams now have to complete the last quarter of the season with no outside help. That means plenty of action for young players on clubs outside the playoff race, and a test of depth for those grinding for a top seed. While the battle for the last few playoff spots rages, some fans will have turned their attention to the upcoming draft and free agency, excited for what to come. Will the big names moved at the deadline re-sign with their new teams? Or will the free agent market be littered with stars looking for big paychecks? With the deadline behind us and the playoffs not too far away, it’s time to run another mailbag. We’ll be answering as many questions as we can this weekend. You can submit questions by using #PHRMailbag on Twitter or by leaving a comment down below. If you missed our last mailbag, it came out in two parts given all the questions asked. First Brian tackled everything to do with the Metropolitan Division including predicting Pittsburgh’s movement of Tanner Pearson for some defense help and giving his thoughts on the Micheal Ferland situation. Next, he tackled the rest of the league in a lengthy mailbag that stretches from Erik Karlsson to Jonas Brodin. Our latest mailbag before the trade deadline takes a look at some of the top rental players still available, what a trio of Atlantic Division teams will be looking to do, a discussion on the emphasis on long-term contracts and whether that trend may soon be changing, and much more. These are the non-Metropolitan Division questions from our last call for mailbag questions two weeks ago. For the Metro mailbag, click here. ThePriceWasRight: Rumors are if he makes it, Calgary and Winnipeg interested in Stone. If either makes this trade are they the cream of the Western crop or does Calgary still have to address its goaltending? I think Winnipeg is the top team in the West right now so adding Mark Stone would make them the top gun by that much more. They have several strong wingers and adding a top liner like Stone would make an already potent offense that much stronger. As for Calgary, getting Stone probably wouldn’t be enough to unseat Winnipeg as their goaltending is still somewhat shaky. Unfortunately for them, that’s going to be tough to address. I don’t think Columbus will move Sergei Bobrovsky and while Jimmy Howard would help, he’s not a high-end starter. No one they’re going to get will be either which makes it hard to call them the top contender. That said, I don’t think it should stop them from pursuing Stone. Their attack is very top-heavy and adding Stone would give them a second line that’s capable of lighting the lamp with a lot more regularity. If you can’t win the traditional way with good goaltending, loading up offensively and trying to win some high-scoring games isn’t a bad way to go. @Hockeyprospect5: Who should the Flames try to acquire? Though they won’t be able to land a top-notch starting goaltender, I still think they should look at adding some depth. I like Keith Kinkaid for them. I know he isn’t having a great year but he showed last season that he’s capable of getting hot and going on a big run. That’s all they really need for the time being, someone that can either push one of David Rittich or Mike Smith or provide a short-term boost if he gets on a roll at the right time. I can see them looking for winger depth as well. I’d be a little surprised if Stone went there but I could see someone like Gustav Nyquist being of interest to them. He may not be able to carry a line like Stone but he’s a good two-way player and could still log a lot of minutes for them. (He’ll also cost a lot less than Stone will.) They’ve been linked to Mats Zuccarello as of late as well and he’d be a nice addition for their second line. pitmanrich: Why are top players so keen on 7/8 year contracts? Salary cap is unlikely to go down significantly and top money will always be there for quality players like Karlsson and Stone unless dramatic drop off in production surely no-trade clauses on 3/4 year deal would be better for them plus if the team goes bad quick like the Rangers did easier for them to leave for another contender. Security means a lot and the players signing the max-term contracts are usually getting significant no-trade/no-move protection anyway (at least in their UFA-eligible years). If a player is hitting the open market at 27, a max-term deal is going to take them pretty close to retirement. Waiting three or four years and trying again is going to probably yield a lesser contract for most players. Let’s look at Karlsson. Previous speculation was that it’s going to take Drew Doughty money (eight years, $11MM per) to get a deal done. Let’s give that to Karlsson but on a four-year pact. That will allow him to hit unrestricted free agency again in July of 2023. However, he’ll be 33 at that time with four more years of mileage on him. By then, he probably won’t be as much of an elite skater either. Even with a higher Upper Limit and a new CBA in place, I’m not sure he’d match $11MM on another deal let alone beat it. The shorter-term deal probably hurts him. Mark Stone is a couple of years younger so he’d have more of a chance but assuming he winds up around $9.5MM or more on his next deal, could he beat that four years from now? I wouldn’t bet on it. Now, when it comes to RFA players, you’re onto something. Auston Matthews could have pushed for Connor McDavid money (or more) on an eight-year deal but took five years instead (and still wound up with a really high price tag). He’ll be hitting unrestricted free agency in the prime of his career and as long as he stays healthy, it’s a fairly safe bet that he’ll be able to beat whatever the AAV could have been on an eight-year post-RFA deal so the shorter-term strategy will work for him. I expect some of the other top RFAs this summer will pursue a similar route with that in mind and if teams need to compromise on the term to get an AAV more to their liking, they’ll do it. The shift towards shorter deals is coming but it probably wouldn’t be with the players that are entering unrestricted free agency. Those players will be opting for the security of one last big payday. ThePriceWasRight: What do you see happening with Erik Karlsson? Sharks can now start negotiating but may want to focus on the season. While there hasn’t been any information about any talks being held, I’m pretty sure that the Sharks have a pretty good idea of what it’s going to take to lock him up. It’s likely that GM Doug Wilson has spoken with Craig Oster, Karlsson’s agent, to determine what the asking price is and the willingness on their end to sign an extension. If I had to guess, I’d speculate that they probably are already pretty close to a contract if one isn’t already in place. Considering he can’t sign an eight-year deal until after the trade deadline passes on Monday, they’ll wait until then at the very least but I think he’ll be staying in San Jose for a long time. tigers22: Nyquist to Winnipeg for a 1st, Glendening to Toronto for a 3rd, and Howard to San Jose for a future 2nd. If Holland wants to re-sign Nyquist and Howard in the off-season isn’t this the best thing for the Red Wings now and in the future? Let’s address the second part first. Yes, the trade and sign option on paper is, at least in theory, the best-case scenario for Detroit. They get some assets for the players and then get the players back. It’s the best of both worlds. However, it’s something that rarely happens. (Montreal did it with Tomas Plekanec recently but he’s the exception, not the norm.) If the Red Wings truly want to re-sign them, is the potential trade return worth the risk of not being able to bring them back if they decide they prefer their new team or to test the market? Most GMs don’t think so which is why they often lock up their guys if they can. As for the trade ideas, I don’t think Nyquist gets a first-rounder. There aren’t many available and as well as he has played this season, there are better players than him available that will likely get those top picks. Glendening to Toronto makes some sense but given the cap situation that the Maple Leafs have, Detroit would either need to retain some salary or take a player back. Howard to San Jose is a fit on paper but I expect the Sharks will ultimately target a cheaper goaltender (think Ryan Miller or Kinkaid). goosr: What do you think the Habs will do as the deadline is almost near. Not much. I could see winger Charles Hudon moved for a rental player that’s a better fit on their fourth line. While Hudon is a restricted free agent with a $715K qualifying offer, he’s a non-tender candidate because of his arbitration eligibility and his 30-point 2017-18 campaign so moving him for a player they likely won’t end up keeping beyond this season isn’t much of a risk. Beyond that, I think they’ll look to add more defensive depth if they can pay a price comparable to what they did for Nate Thompson (yes, he’s a center but the price was sliding down a few spots in the draft, not dealing a pick outright). GM Marc Bergevin has said he’s willing to take on a bad contract for other assets but that deal may be more of an option in the summer when time is really of the essence for teams needing to free up room. Puckhead83: Do you have a dark horse trade candidate in your mind that no one is talking about? Defenseman Jonas Brodin from Minnesota. Charlie Coyle was getting all of the attention before being dealt to Boston. Now Eric Staal is getting the attention as a pending unrestricted free agent. Nino Niederreiter has already been dealt and GM Paul Fenton has been given the green light to really shake things up even if it comes at the expense of a playoff spot. Brodin’s only 25 and is signed for two more years after this one on a pretty good contract with a $4.167MM AAV. We saw what Jake Muzzin (who has a similar role and AAV but only for one more year) received, a first-round pick plus a pair of prospects. It’s quite plausible to think that Brodin would fetch an even more substantial return. There are quite a few mid-pack teams who have said they’re not interested in rentals but would make ‘hockey moves’ for the right price. Between that and the contenders that would undoubtedly love to add Brodin to their top four, the market for him would be substantial right now. He’s not getting much attention but if a deal gets done, it would be one of the biggest moves over the next 48 hours or so. ThePriceWasRight: When do you think teams will actually start making trades with the expansion draft in mind? The Expansion Draft isn’t until June of 2021 so it’ll be a while yet before trades are made with that in mind. I could see a team or two trying to shuffle something close to the start of 2020-21 but most of the moves won’t be made until that trade deadline (late February) or the days leading up to the draft. To be honest, I don’t think we’ll see the type of movement we did with Vegas. We’ll be looking at a new CBA which could have redefined Hockey Related Revenues (HRR) and/or a compliance buyout as we’ve seen in the past. As a result, there probably won’t be as many teams looking to offload bad contracts that will be wanting that player to be taken. I expect more teams will simply just accept that they’re going to lose a player for free instead of trying to shuffle around their roster and lose additional assets in the process. Some teams may look to swap a forward for a defenseman based on how their protection lists look but there weren’t a lot of those trades before the Vegas draft and there probably won’t be here either. The Golden Knights did well to take advantage of some teams and really dictate the market. Those teams will have learned their lesson this time around, much to the chagrin of Seattle. keel863: When is Sweeney going to pull the trigger on a smart trade? His track record isn’t exactly spot on. They need a top-6 forward. I like Stone, not really Simmonds….who do you think makes the best sense? The Coyle pickup could wind up being their top-six addition barring another move in the next 48 hours. While I like Coyle (and I don’t think they paid too high of a price for him), I’d be disappointed from Boston’s perspective if that’s their big addition in the end. There are some wingers that could slot in quite nicely on the second line, allowing Coyle to slot in down the middle. Nyquist from Detroit would be a good fit and would really take some pressure off their top line while I think Zuccarello would slot in nicely on their second line as well. They’re likely seeing Toronto in the first round and his skill and speed match up well against the Maple Leafs. 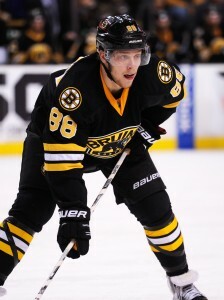 I like those two for Boston more than Wayne Simmonds who has been a speculative target for a while. While grit in the postseason is important, so too is speed, especially against Toronto. Simmonds has the former but not the latter which means his usefulness would be limited. If they can land one of Zuccarello or Nyquist for a reasonable price, it will be a pretty good deadline for GM Don Sweeney. The Metropolitan Division has been tightly contested all season and not surprisingly, there has been plenty of speculation on the trade front. That was a popular topic among the mailbag questions this week, so much so that the teams in that division get the attention in this edition of the PHR Mailbag. Questions that were asked but not discussed here will be covered in an extra mailbag column next week. You can still add your questions here. grizzled sports vet: Do you see Pittsburgh doing anything else before the deadline? 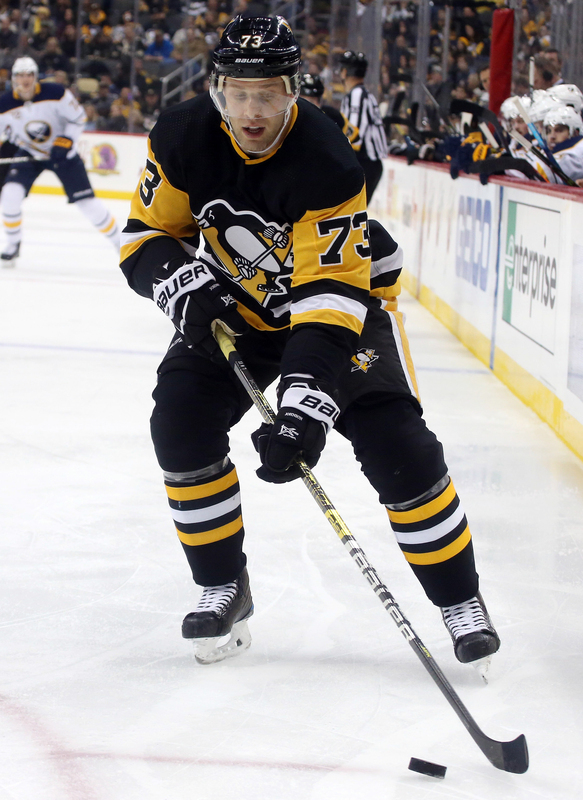 As far as the back end goes, Schultz is returning, but Maatta was placed on the IR. They’ll need defensive depth for a playoff stretch run. Even if Maatta comes back it wouldn’t hurt to have another D-man to spell or even replace Jack Johnson if needed. I know Jim Rutherford said he’d like to have a quiet trade deadline but let’s face it, he’ll find a way to do something. Justin Schultz coming off of long-term injury reserve cuts down their cap room but they’ll still have a couple million of full-season space to work with. At the very least, I can see them looking to upgrade on Chad Ruhwedel in terms of injury depth on the back end. I wouldn’t be shocked to see him try to do something with winger Tanner Pearson. His acquisition for pending UFA Carl Hagelin was a risky one given that Pearson has two years left at a pricey $3.75MM AAV after this one. They were hoping that a change of scenery would help him rebound but it hasn’t happened and he is sliding down the depth chart (he’s a healthy scratch today). If there’s a team out there that likes him as a middle-six winger, they’d be wise to look to move him. Will Pittsburgh be as active as they were last year with swinging a unique three-way deal that saw Vegas retain on Derick Brassard with him being on the roster for all of a few minutes? Probably not. But Rutherford will be heard from again. Jaysthoughts: Rutherford has always spun twine into gold. Now what player that doesn’t fit in on another team will be traded for Jack Johnson and hoist the Cup at season’s end? There has been a significant escalation of player salaries at the top end of the market in recent years which has resulted in teams needing to scale back on their spending of mid-tier players. Johnson can play in the top four when needed but in a perfect world, he’s a third pairing defender. However, there aren’t many teams left that are able or willing to commit that much money long-term for a third pairing guy. Instead, they’ll want blueliners making half of that or less to be able to reallocate the savings to a better player. To be honest, I don’t think Rutherford is necessarily looking to get out from under Johnson’s deal. The signing was widely panned (and justifiably so given the five-year term) but I’d suggest he has more or less played as they expected. He’s giving them a little more than 19 minutes a game and while there have been some rocky moments along the way, those weren’t to be unexpected given how his time in Columbus ended. I don’t think they were expecting a ton more from him, to be honest, so I don’t think he’s at the top of the wish list for the Penguins to trade. Connorsoxfan: Could Hayes and Zuccarello be moved to the same team? Would someone like Boston who could use a 3rd line center (Hayes), a winger for Krejci (Zuccarello), and some immediate help if Pastrnak is out for a while? What would that return look like? The idea is certainly interesting but I don’t think there are many teams who could pull that off with the salary cap implications (the two combine for nearly $10MM in a full-season deal and not a lot of contenders can take that on). Yes, there’s always the potential of getting New York to retain but that will only up the asking price and the cost for a package like this would be steep. Out of the teams really looking to add, I think Boston and maybe Winnipeg are the only ones that would do this. Individually, I have both players getting a second rounder plus another piece with the second asset being more significant for Hayes. If Ottawa takes one or both of their premium rentals off the market, then Hayes may be able to get a first but there are only a handful of those that are going to move. To get both of them, however, I think the emphasis would shift towards quality over quantity. A first rounder would need to be in there and instead of a second-round pick, a young roster player would be a target (from Boston, think of Danton Heinen or Matt Grzelcyk and from Winnipeg, someone like Jack Roslovic, players that are a little more established). Depending on the player going back to New York, there may not be much more than that. It’s a really interesting idea and one I think GM Jeff Gorton would be wise to try to do but a few of the big names would have to be off the board for this to be palatable. mikedickinson: Hurricanes are making a run at the playoffs, but can’t afford to lose Ferland for nothing in the offseason. Do you see him moving on at the deadline? I think the decision on this is probably still a week away. If Carolina is still in the thick of the playoff race, then yes, I think they’ll hold onto Micheal Ferland and use him as their own rental player. They have a big stretch coming up with four more games by next weekend and if they struggle, they could be out of it by then as well so GM Don Waddell should play it slow. As for not being able to afford to lose him for nothing, I agree but only to an extent. I don’t believe the trade market for him is going to be overly significant. Again, there are only a handful of first-rounders in play and with all due respect to Ferland (who has played quite well this season), he’s not at the level of the high-end rentals that are in play. At best, Carolina is foregoing a second rounder and a decent prospect. While they could certainly benefit from adding more young assets to the system, keeping Ferland for a meaningful playoff push would be good for this core as well (assuming they don’t fall out of the race by next weekend, of course). If they’re in it, I think they’ll keep him but if not, they’d be wise to ensure they get something for him. acarneglia: Are the Blue Jackets a buyer and a seller at the deadline? Could Panarin be moved and then bring in someone like Duchene? ThePriceWasRight: Do the Jackets wait till the very end to decide on Bob and Artemi? They need to know 100% where they are in the playoff picture as well as what prices are as they likely can’t trade Panarin for less than Duchene if he goes. At this point, I’d almost be inclined to call Plan A being a seller on Artemi Panarin and then flipping those assets (and/or others) for another significant asset (be it Matt Duchene or someone else). Keeping Panarin long-term looks entirely unrealistic at this point and he’s significant enough of a player that they really can’t lose him for free. Barring Columbus going on a big losing streak next week, they’re still going to be in the mix so I don’t think they necessarily have to wait. That said, they’re going to wind up waiting as Ottawa’s top guys are basically holding up the market at this point. If Duchene and Mark Stone re-sign, that’s going to really up the ante on Panarin as the last one standing but if they’re made available, then flipping Panarin to acquiring one may be at the top of the to-do list. Until Duchene and Stone decide what they’re doing, the market is at a standstill. As for Sergei Bobrovsky, if the right deal was there, I think he’d be gone already. Given the year he’s had, I can’t see Columbus giving him the contract he’s going to be seeking but at the same time, his struggles have hurt his trade value. I’m leaning towards thinking he’ll stay with the trade return not being enough to justify weakening their playoff chances. nk: The Isles are playing playoff-style hockey right now. Tight checking low scoring games with great goaltending. I know Lou Lamoriello is secretive but the teams’ offense since the All-Star break and power play (all season) have not been good. Andrew Ladd is due back but he has not been a consistent scorer when healthy and is often injured. Do you think LL makes the big dangerous move forfeiting possibly a 1st, 2nd, Anthony Beauvillier and someone in Bridgeport for that top scoring sniper (Duchene, Stone, Panarin, Huberdeau) many of which are UFA after the season? Do you see him making a run at Kovalchuk (I don’t want a mid-30’s player with 2 more years on contract) or do you think he stands pat with lots of cap space making a run at UFA’s in the Summer? billsyanksnisles: What are the Islanders going to do? Any likelihood they get Simmonds or Panarin? Lamoriello has said in the past that it only makes sense to push in the chips when you think you have a chance to win. I know Robin Lehner and Thomas Greiss are playing extremely well but I don’t think they’re one player away from mixing it up with the top contenders. On the flip side, given where they are, not doing anything would send a pretty bad message to the team so I suspect they’ll do something. The market for secondary scorers is taking its time to develop with Ottawa’s guys holding everything up but once that settles, I think we’ll actually see a situation where supply will outweigh demand considering the number of GMs of bubble teams who have stated they don’t intend to get into the rental market. That’s where I think Lamoriello will look to strike, find a player or two who can be acquired for what will be a really reasonable cost, bolstering his roster without mortgaging the future. Free agency is going to be really interesting for them. Will they try to re-sign Lehner? Will they be able to get deals done with Anders Lee, Brock Nelson, and Jordan Eberle (or whichever secondary rentals they acquire)? Building via the open market is a risky strategy but that’s how they’re set at the moment so they may as well play it out now. sonofspam: Is Wayne Simmonds’ potential trade return more valuable to the Flyers than his worth as a 20 game “rental” to themselves for their playoff push? The short answer here is yes (albeit with a small caveat). Philadelphia, for as well as they’ve played lately, is still out of the playoff picture by eight points. That’s a lot to make up, especially with a few teams to jump over. Even if they keep him, I still don’t think they make the playoffs so from that standpoint, it’d be tough to justify not dealing Simmonds. However, if they can find a way to re-sign him at a deal that works for both sides, then they should go ahead and do it even though it won’t affect their short-term fortunes. Frank Seravalli of TSN reports that no offer has been made so that doesn’t appear to be a particularly likely scenario at this point. Given that an extension is unlikely as is a push for the playoffs, Chuck Fletcher simply needs to find the best deal possible and make it. Connorsoxfan: Burakovsky? Does WSH need a depth defender? unfazed: Do you think Andre Burakovsky is definitely gonna get moved? What team do you think will land him? Are the NJ Devils gonna be sellers this year? Their season is lost. If I was GM Brian MacLellan, I would definitely move Burakovsky as I can’t find an argument to justify qualifying him. Having said that, I don’t think I value him as highly as they actually do so there’s a bit of bias at play here. With that out of the way, I wouldn’t qualify a deal as definite but I’d go as far as to say it’s probable. I think they need to do something to shake things up and there aren’t many players that they’d be willing to move that make enough money to move the needle. (Swapping fourth liners isn’t going to do much.) Burakovsky has enough of a track record that there will be interest and they’ll get some value for him. It may have to be a two-pronged deal (instead of getting a player back in a one-for-one swap, they get future assets and flip those for the new player) but he should be dealt by the 25th. As for their defense, they’re in better shape this year in terms of depth and have Jonas Siegenthaler in the minors who is capable of playing when injuries strike. I think they could stand to add a cheap veteran but it isn’t as high on the priority list as it has been in the past. With regards to New Jersey, they should be sellers although they don’t have a ton to move. Marcus Johansson is probably the most notable name in play; I took a look at his particular case last weekend. Keith Kinkaid probably isn’t going to be back after the season so a team looking for goalie help may kick the tires. Ben Lovejoy has had some postseason success so a contender may look at him as a cheap upgrade. None of these players will really bring back much in terms of high picks or top prospects but they should be able to add some mid-tier assets to their system. The trade deadline is now less than two weeks away which means that activity levels around the league are bound to pick up in the coming days. With the standings continuing to be as tight as they are, it’s going to certainly be interesting to see how that affects the market. Will teams wait until the last minute to see where they are or will they try to make an earlier move in the hopes that an extra few games from a key acquisition will make the difference? With that in mind, it’s time to run another mailbag to take your questions on the upcoming trade deadline and other topics from around the NHL. I’ll be answering your queries this coming weekend. You can submit your question on Twitter by including #PHRMailbag or leave a comment down below. You can catch up on our last mailbag set by clicking here and here where the topics included reshaping the Oilers, trade options for Detroit, what Calgary should be looking to add by the deadline, the goalie situation in St. Louis, whether Vancouver will buy or sell, and much more.